If you say that when you create a template YouGames developers studio YouJoomla give 100%, then it is not enough. 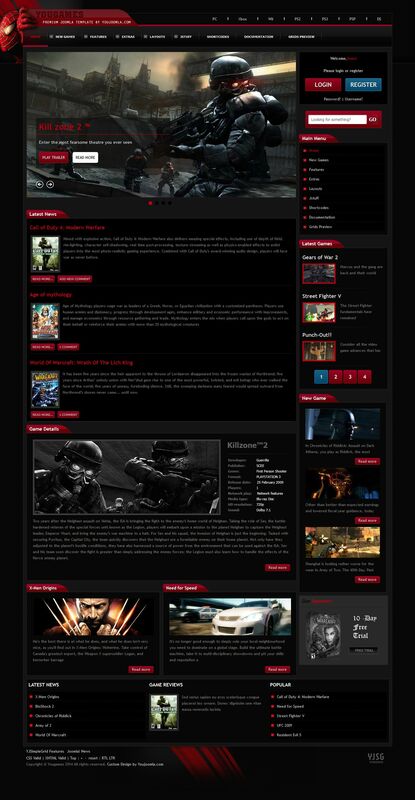 High-end gaming Joomla template YouGames - is a kind of masterpiece of design excellence and functionality. YouGames made in the traditional gaming sites dark colors. It sold 5 menu types, 3 new Joomla extension is 4 and unique visual style. Also YouGames game template provides 14 positions for the location of two modules and themes modules.